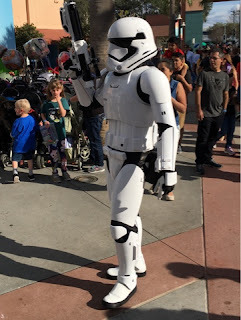 Star Wars seems to be more and more prevelent at Hollywood Studios. Kylo Ren is now greeting guests and stormtroopers are "patrolling" the area around the Launch Bay. I took this shot today, while giving a tour of that park.